If you like results you will love this! How sure are we that HardStyle Abs (DVD) will work for you? Simply fill out the form below and put HardStyle Abs (DVD) to work for you right now. Obviously, we would go out of business if HardStyle Abs (DVD) didn't work, the way we said, right? With the promise of a full refund if you're unsatisfied, you have nothing to lose by trying HardStyle Abs (DVD). Go ahead and try it today. 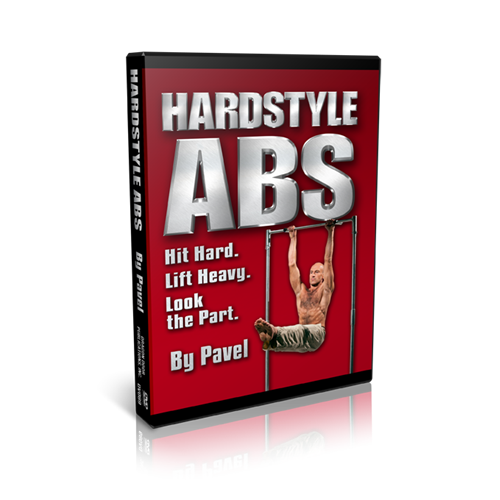 "I found Pavel’s HardStyle Abs DVD very informative. I really like the HardStyle breathing. I just started experimenting with HardStyle sit-ups and the internal isometrics. I am sure that others will find this DVD to be as useful and informative as I have. It should be in everyone 's personal DVD library collection for physical training." How the secret of "feed-forward tension" can improve your performance by up to 20%. Rated 10/10 If you like results you will love this! Pavel has done it again! Be prepared to add your best secret weapon yet to your ab-building tool box. Pavel focuses on the little details that can be the difference between grasping for results and clutching results that you never let go of. If you follow the insights on this DVD you will be the one that all of your friends are asking how you got your abs to look so good! "One of the biggest mistakes I made in my training several years ago was removing direct abdominal training from my routines. Then having a ventral hernia repair (from a previous apendectomy surgery) with gortex mesh implanted a couple of years ago made it very clear how important intelligent strength training for the abdominals is for health and performance. 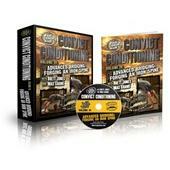 Hardstyle Abs is that guide for intelligent, effective strength training for the abs. From breathing techniques to the Pavelizer to Hanging Leg Raises this is the way to strong abs you can use." Rated 10/10 The Foundation for Hardstyle Greatness. Have you ever watched a fight on TV and found yourself so drawn in that your arms literally twitched every time a punch was thrown. As a fighter I have often found myself guilty of throwing involuntary punches during a televised event…maybe a little strange but true. When I watched the Hardstyle Abs DVD the same thing happened. It is so good that I was immediately drawn in and felt my Abs contracting just watching the program. It has been said that you are only as strong as your weakest link and for most that is the midsection. The general pubic defines fitness by a six-pack but the athlete knows the core has a bigger job to do than just look good. It has to stabilize the spine, be able to absorb a hit and transmit power. With Hardstyle Abs you can have a midsection that not only looks good but performs well. Pavel’s Hardstyle Abs is a prerequisite for any aspiring athlete. Hardstyle Abs – Get It –Do It – Master It. This no-nonsense approach to abdominal training leaves a clear cut path and NO excuses. Having been bombarded with the usual fitness industry fluff and useless crunches of the past, the minimalist production and intense focus of the Hardstyle Abs DVD was a welcome change. Pavel is in great form, explaining and demonstrating every nuance of each exercise clearly. Don't be fooled, while he may make it look easy, these drills are not. As someone who really loves advanced exercises like hanging leg raises, I was looking for the next step. The big cues on this DVD are immediately useful, as well as the attention to subtle details—which are often the hidden keys to success. My clients will also appreciate the cues and drills which I will be able to immediately borrow for their benefit as well. As with the Hardstyle Abs eBook, I had only seen some of this very advanced information at the RKC Level 2 Workshop and the Bodyweight Workshop last year. Being able to review this information in the DVD format was a great way to enhance the value and learning from those workshops. If you weren't able to attend, or are not an RKC yet, then this is extra required viewing if you're serious about training your abdominals. Great for men and women as well. The DVD is an absolute MUST for fans of Pavel's approach and techniques. Rated 10/10 The Evil Russian is Back! 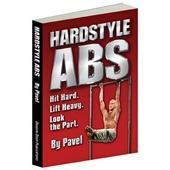 Pavel goes back to the future with his latest DVD and E Book Hardstyle Abs. This reminds me of the early days of Pavel's writing with bleeding edge, state of the art information delivered in his classic no nonsense style. 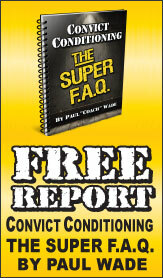 While the DVD is great there is SO MUCH amazing information in the e-book that that should NOT be missed. The perfect companion guide. I consider myself an expert in abdominal training having been an Elite Gymnast, competitive bodybuilder and almost Elite level Powerlifter and I learned TONS from this DVD. Making the complex simple, this is Pavel's gift and he's at his best here. Get this DVD, that is all Comrades. Pavel's new DVD does me a huge favor: I have heard him speak on the Hanging Leg Raise at least four times. Every time I get home, I pull out my notes and realize that I have a jumble of phrases and terms like "pecs" and "lats" and no reference. Finally, there is a DVD that I can stop and put together the pieces of what I consider the best "anterior chain" move one can do. As an Olympic lifter, I think the way Pavel explains the HLR is the same exact insight that Tommy Kono, perhaps the greatest lifter of all time, uses to finish every workout. It will build your abs, certainly, but it will also do wonders for the lower back. So much of what Pavel explains in his work literally has to be seen. Words, and I am a fan of them, only explain so much. The section on stretching in the new DVD is classic Pavel: he rolls, slides, wiggles and taps himself into position. The clues, and be sure to saw it like Peter Sellers would have our favorite Inspector say it, need to be seen. The simple use of the off hand on the Hip Flexor stretch needs to be seen and tried. I'm a big fan of this DVD. Clarity is the issue in ab training. You can do a LOT of reps, but get little besides a sore neck and back from doing those high reps. Pavel, once again, leads us into greater depths with the area of the body most commonly screwed up. Two thumbs up from me. Pavel and DragonDoor introduced us to the AK47 of training, i.e. the kettlebell. Now they have done it again by giving us the AK47 version of abs training; simple yet highly effective. The 3 core movements are well explained and the progressions to perfect these movements have been well laid out so that no matter where you are in your training you will find that progression where challenge and success are optimised. A must have resource. Like all things Pavel, Hardstyle Abs is brutal, blunt and brilliant. In Hardstyle fashion, it provides the tools anyone needs to gain a functional mid-section by embracing the “inch-wide, mile deep” philosophy. Hardstyle Abs offers no easy promise but for those who choose to pursue this simple (not easy) protocol will be unable to fail. If you liked the brutal effectiveness of Naked Warrior, ETK and Relax into Stretch then you will love HARDSTYLE ABS. If you didn’t like the above masterpieces you probably not reading this review anyway. Hardstyle Abs is to Bulletproof Abs that Enter the Kettlebell is to Russian Kettlebell Change…a distillation and refinement of a paradigm into a “DO THIS” protocol. · Hardstyle Powerbreath and Supplemental/Scientific Stretching---train abs (or prepare them for training) anywhere…anytime! · Hardstyle Sit-ups…A classic Pavel drill that has some new shine and insight. Make use of training partner or utilize the Ab-Pavelizer if your methods scare away potential workout buddies. · Hanging Leg Raise. Can you do them? Want to do them better? A series of regressions that are included to make this brutal drill accessible to all levels or use the included advanced variations for those hard comrades looking to hone their abdominal strength mastery. Rated 10/10 Incredible if you want ROCK SOLID ABS!! After going through Pavel's Hardstyle Ab DVD, I'm blown away by the no fluff content in this DVD. He gets right to the point with how to build an ab shield. From proper power breathing to incredible progressions from the most simple abdominal exercise to the most challenging exercise. Having rock solid abs will carry over in to all of your aspects of training. I am anxious to start implementing this in to my training. The breathing tips alone are a goldmine! Pavel hits a home run again! They say the sign of a genius is making the complicated look simple. Pavel's genius delivers once again. The HardStyle Abs DVD and ebook is your last guide to serious ab training. Don't just look strong, be strong. If you are just getting started this is your no nonsense approach to rock hard abs. If you are working on getting stronger this is your road to getting there. The nuggets contained here will make all the difference in your training. I could not wait to get on the bar after watching DVD and referring to the e-book. The immediate results were amazing.